Shopping for Hello Kitty Hats? 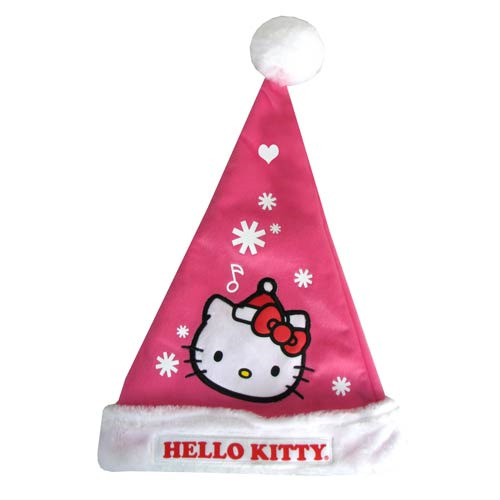 Give a Hello Kitty spin to Saint Nick and Christmas with this Hello Kitty Pink Santa Claus Hat! The hat features a white bottom cuff that reads, "Hello Kitty," with an illustration of Hello Kitty's head above and white snowflakes against a darker pink background. The Hello Kitty Pink Santa Claus Hat measures 17-inches long and is one-size fits most. Ages 14 and up.